At the heart of much of the work undertaken is to provide consultancy to support the development of accessible technology, products and services for people with a disability. We seek to offer advice and guidance leading to practical steps to further the access ecosystem within a community, country or region. Our consultancy services are well regarded and have been used repeatedly in many parts of the world. Notably in the UK, Europe, Middle East and Africa. We are bound by a code of ethics which ensures that the needs of the client is central to our proposal. However we value the long term relationships we have established over many years with clients and colleagues. Our consultancy services are based upon the years of experience in the field, and are designed to provide advice and recommendations that can be implemented and have short, medium and long term results. The model is shaped according to the needs of individual organizations but the simple approach has been successful in supporting the development of products for accessible markets and the evolution of services within the Access Ecosystem. ​As a member of the build back better project with Qatar Foundation International, I have been active in seeking to identify technologies and processes that would deliver an effective mobile e-Learning platform to Arabic speaking refugees. With colleagues we have been active in identifying the delivery platforms required, curating and defining Accessible Arabic digital content and engaging with delivery partners in teh field to ensure that the resources are available to them under open licence to reduce redundancy of materials and support inclusive education. I was approached in 2016 to help outline a proposal for the development of a mobile library in Zimbabwe. In order to meet the need we designed a project for funding applications that addressed the provision of open source technologies for people with little or no vision, coupled with accessible books and online materials using creative commons and constructed a variation of the foundations in assistive technology course to train those who would be running the course. Longer term informal support and guidance was incorporated to help ensure the effective delivery of the service in the first 12 months. ​During 2016 and 17 I worked with a small number of disabled people in Uganda to help develop their business plans for social enterprises. We focused on what they need to acquire donations and raising their profile to inform potential donors of their activities through social media. Support is ongoing and has been provide don a probono basis. The success of the support has led to us beginning to develop a not for profit in the UK to channel such work in the future. ​Whilst at an early stage we have been seeking to gather information and designs to facilitate the creation of social enterprises to fabricate and distribute low cost simple aids and appliances in communities where the cost of importing commercial solutions is a barrier. Some of the resources gathered and curated can be found on the resources page of this website. Extensions of the project that are anticipated include work on developing the skills of the teams involved in fabrication, building business plans for distribution and identifying source of components within communities that are of a high quality. The work seeks to address the WHO 50 priority assistive technology list by offering an alternative means of distribution. ​During the past year I have been engaged in a series of advisory and consultancy visits to services within Pakistan and the Middle East to advise on how current provision can be developed and enhanced. Much of this work has been to assist services in identifying sources of support, identifying barriers and applying creativity to resolve the barriers experienced. In 2009 I was invited to Qatar to review their proposals to create an assistive technology center. I returned in early 2010 as a consultant then as Deputy Director leading to me taking over as CEO for a period of three years. Mada was charged with addressing the underlying weaknesses in the access ecosystem in Qatar. The historic system was deeply flawed with limited assistive technologies support Arabic, no process of identifying needs and solution and no training resources to build capacity. Over the coming six years we sought to systematically address all elements of the ecosystem leading to awards as Innovative Practice and Innovative Policy at the UN Zero Project awards of 2014. Throughout the period in Qatar, we sought to respond to the increasing need and to understand the challenges we faced. Underlying work and research was completed on Barriers to uptake of assistive technologies, the localisation of AT for language and culture, capacity building within the Middle East and key issues of transfer of knowledge across cultures. These pieces of work informed the development of services and the approach to the emerging ecosystem. A range of documents were produced in partnership with organisations from around the world, that took into account national and regional needs. These included guides to support at events, employment, a guide for schools, procurement of accessible technology, localisation of accessible technology and a guide to web accessibility. Research papers were produced during this time on many of the other topics, but also included the creation of Arabic evaluation measures based upon the PIADS scales and the creation of creative commons Arabic symbols to support developers of communication aids. The final project completed during my time at Mada, were wide ranging policy reviews. Having worked with the Ministry for ICT on the creation of a National eAccessibility policy in 2011, we reviewed this in 2015 and built a model of eParticipation for people with a disability to inform the next iteration. Alongside this work we engaged vendors to identify international standards and best practices for implementation to inform the detail of the next iteration of the eAccessibility policy and in addition completed a wide ranging review of the policy landscape to identify recommendations for access and inclusion over the coming 10 years. During 2016, I began work on research into the growth of disruptive innovation and the impact upon the assistive technology industry. This work was initially published in the New Statesman and a more detailed summary of the trends will be published in early 2017 as a chapter in an edited book on the future of AT. The analysis presented has also provided the basis of presentations at conferences and events and has further led to work with developers and entrepreneurs to help identify opportunities for disruption and explore how more established companies can respond and react to the threat to their business. In this project, I undertook a review and gap analysis of international best practice with local initiatives. The project explored the needs of people with a disability and created guidance to inform stakehoders. The package included a business case explaining the value of entrepreneurship for people with a disability, identified successful disabled entrepreneurs and sought to address the factors and steps that were central to their success. This consultancy work was carried out during 2016 to support Irish NGO’s in creating a business case for increased investment in the provision of assistive technologies to people with a disability. Working as part of a small team with Irish colleagues, my role was to engage in a review of international models of provision, investigating the strengths of weaknesses of each, to review trends in AT development and distribution, to outline the initial business case for provision from a variety of perspectives including financial, social, political and legal, and to construct a model of funding (AT Passport) which could be used as the basis of provision in Ireland in the future. Whilst working in Qatar we engaged with multiple vendors to localize assistive technologies to support Arabic language. In total 35 products were brought to market over a period of 3 years. These laid down a basis of demand that has led to further products being introduced to the market since the program was completed. In determining the products to be brought to market a call for Arabic assistive technologies with seed funding available to mitigate the risk of investment. An analysis of user needs and demands was completed which led to criteria for selection of the products that were required. The funding provided to the vendors was repaid to Mada by the provision of licences for the products for distribution in Qatar. In this manner the cost of bringing the products to market was zero for Mada and funded through our provision model. The products that were brought to market included technologies for people with physical disabilities, reading and writing needs, hearing loss and visual impairments. They included both proprietary products and open source solutions. The impact of the investment opened up opportunities for the vendors in other countries across the Middle East. International review of effective practices leading to impact upon the lives of people with a disability. Within this review we explored underlying and substantive policy and law from countries from across the world, as well as the ways in which such underlying principles were integrated within specific domains such as employment, justice and transport. Phase 3 took the two datasets produced and cross referenced one to the other, identifying areas of strength and weakness leading to the full list of recommendations and a roadmap for implementation. Techshare Middle East was and still is the largest conference on access and inclusion through technology ever established in the middle east. With over 50 speakers, 500 registered attendees and spread over 2 days it drew an audience from across the region and speakers from across the world. The conference was delivered on a budget of only £35,000 and was supported by corporate sponsors, attendance was free to all those wishing to take part. Techshare also included a range of hands on workshops that were designed to build capacity within the region, these workshops drew in both researchers and Assistive Technology companies from Europe and the US. My role within the planning and delivery of the conference was to lead the team, this included the venue team, planning and logisitics, funding team, program team and the creation of the Techshare ME website. The role was very hands on, creating the website directly and directing on site logistics. I worked for 10 years at AbilityNet the UK NGO focussed on digital inclusion of people with a disability. During that period I was appointed as Director of Operations, and spent periods as Acting CEO and Director of Development. During this period my main role was to oversee the creation and sustainability of a network of regional centres established across the UK. 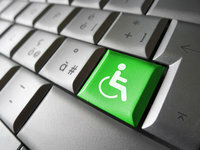 The centres covered the whole of the UK including Scotland, Northern Ireland and Wales and operated to deliver technology to people with a disability regardless of Age, setting or aspiration. Hence the centre delivered a range of services including assessments of need, AT training, training for professionals and technical support services. The models we created were replicated within Europe and then in other parts of world. One of the key functions that I held at this stage was to oversee the development of the team members and the quality assurance of the services that we offered. We adopted a very proactive model of review with customers and clients that fed directly into the service delivery model, the proactive model led to a very high level (94%) of customer satisfaction and very low levels of complaints (less than 3 a year for 5 years). The other key function that we held was to create a business model that did not require the end user to contribute to the costs of their services. As a result we diversified our operations to work across all settings including education. This gave a diverse range of income which included charitable income, voluntary donations, government grants and fees and direct fees from the private sector for goods and services. We were also successful in working directly with the IT industry to obtain gift in kind most specifically office space at Microsoft, IBM, BT, HP and Agilent. This reduced the overhead of the organisation and hence made us less vulnerable to market fluctuations and the cycle of recession that emerged. For this project, the client wished to understand the underlying trends in provision of assistive technology products, consultancy and training to inform their procurement of such services and products in the future. We undertook a review of providers and vendors divided into the US, Europe and the Middle East, South America, Asia and Australia identifying the current state of the AT ecosystem in each and the range and scale of providers, mapping out their availability and the key issues that needed to be considered in procurement. DEFRA was a government ministry that undertook in major transition of its technology base around 2005. 3000 employees were to be transitioned onto Windows Vista from a mixture of earlier versions of windows dating back to Windows 3.1. The transition highlighted a series of workplace issues for employees with a disability, where the technology was not standardized with individual buying their own equipment and claiming it back on expenses, or simply just buying. As a result there was no way of knowing what technology was in use and whether it could transfer onto the new platform. As a result we began a lengthy period of engagement to address the issues raised. Initially this took the form of user acceptance testing to identify which AT were likely to be supported on the enterprise version of the platform – taking into account security issues as well as the OS and hardware identified, this gave us a basis upon which a number of the users could transition with local support which might mean patching or upgrading their software. However for a number of users a new solution would need to be found and we created a triage model of telephone review which could be escalated to a face to face review of needs to identify suitable solutions. The final transition took place over a number of weeks, the team working on the project were also employed to “walk the floor” during the transition in order to support any problems that individual users had in moving to their new platform and the new assistive technologies where supplied. Final review three months later ensured that all employees with a disability were able to make the transition at the same pace as their peers. The project was a significant one and the models and approaches that were developed in seeking to make a transformational change within the ministry were replicated at other government departments and private companies over the next 3 years. In 2002 I was asked to work with Enable Ireland – the Irish charity for people with Cerebral Palsy to develop an assistive technologies foundations course. The course that was created has been through several iterations, but was based upon content that delivered a breadth of resource in 10 days of training. Various forms of this content have been delivered throughout the world, with variations created in Ireland, UK, Shahjah, Qatar and Saudi Arabia. A new version is currently being created for deliver in Malta. The course explores a range of issues related to the implementation of Assistive Technologies and draws upon a wide range of national and international examples. The course is highly regarded and is wide ranging, areas of content include settings (education, employment, social) Needs (VI, AAC, PD, Dyslexia, hearing etc) and functions (assessment, implementation, funding etc) The course has been enhanced with elearning modules and has been accredited by differing national bodies. In 2015 I began work on an advanced qualification with Qatar University, founded upon a competencies model. A portfolio approach was created with competencies on core areas, disability needs and settings. The approach identified sources of evidence for competency and was due for implementation in 2016. Changes in Qatar delayed this taking place. Whilst working in the UK, I led the development of two collections of open source assistive technologies which sought to support public access centres, schools, and young people with a disability. The collections were based upon work done by RSC Scotland in creating eduapps, a collection of software for students in higher education. In creating the collections we were able to reduce the costs of providing access at libraries, museums and universities, The collections were made available on a pendrive and were freely distributable, or the collection was available to purchase if preferred. The business model behind the drives lay in the training and support that libraries required to make best use of the software, this provided a small but significant income which covered the costs of development. On demand training materials were made available through YouTube and a moodle installation for elearning. Access Fun was designed to highlight the potential of gaming for people with a disability. Similar to Access AT it was a pendrive filled with games that were accessible to people with a visual impairment, and physical or learning disabilities. The drives were very popular with parents, and were part of a drive to encourage interaction with technology by people with a disability rather than passive recipients of content. The business model was very small and the drives were available to download or were given away free on training for teachers, therapists and parents. Building schools for the future was a major UK government initiative between 2005-2010 designed to refurbish or rebuild every school in the UK to meet the future needs of generations. My work on the projects were complex, I worked with consortia that were bidding on contracts for school districts, my role was to review the proposals, identify areas of special educational need provision that were impacted and to make recommendations as to how those needs could be met through the physical spaces created and the integration of accessible technology. We were funded by the lead companies to ensure that any requirements for SEN were addressed and that innovative solutions were integrated to strengthen the overall bid. Where the bidding teams were successful, the proposals included a series of hours available to schools as a service level agreement. As schools were redeveloped, I was directly involved in transitioning the existing technologies on to the new networks and enhancing those with new technologies including immersive and virtual environments. As well as the technology integration services we also provided training and support to the schools to meet the needs of their students. These hours were made available to schools in the form of an SLA, an increased number of hours were available to schools with a focus on SEN and a reduced number to mainstream schools where some needs were accommodated. Schools were supported to review procedures, identify the use of technology in teaching and learning, supported to match student needs to technology and to identify school policy to ensure that the technology was effectively used. The program was closed down when there was a change of government in 2010, many schools were left with insufficient funding to deliver all of the previous commitments, as a result a group of colleagues developed a pro bono model to address the gap that emerged using social media and online learning. The Communications Aids Project (CAP) was established through funding by the British Educational Computing and Technology Authority (Becta) It ran for four years from 2004-2008. Five independent NGO’s were funded to deliver evaluations of need and provide the required technology to local authority schools across England. The scale of such a model was beyond the ability of the five organisations to deliver directly, as a result a model of validation of local authority reports by LEA officers, or individual teachers in schools was created with the NGO officers reviewing each case and intervening to provide the technology required, or escalating the case to specialist team members. CAP addressed the needs of learning with SEN from 5-19, and included a range of needs impacting on both verbal and written communication. Importantly as well as the direct impact upon learners the project was recognised as being extremely successful in building the capacity of schools and authorities to evaluate needs and recommend solutions. The project was closed after four successful years when government priorities. However, the model was then further used by a number of authorities who took on SLA’s with one or more of the original NGO’s to maintain the activity. In 2004/5 I was funded by Microsoft to work on the development of emerging Assistive Technology services with Aperons a charity and NGO established in Riga, Latvia. As an eastern European nation emerging from many years of influence from the Soviet Union there were very clear and challenging restrictions on funding. As a result we developed a model of services that created capacity ityhin the country, through the direct employment of people with a disability. The model created on demand resources across social media and elearning, and made maximum use of open source and free solutions to increase impact of available funding. The lessons learned from this work were used to support other services across Eastern Europe. In the mid 1990’s I was seconded to a National Curriculum Council project in the UK to work on the implementation of the new National Curriculum for children with Special educational needs. A team was created at the Cambridge Institute of Education to review current provision and to identify how the new curriculum could be differentiated to meet the needs of those with special and profound needs. The project was to lead to national guidance on a curriculum for students with special needs in which I drafted the sections on ICT and on Mathematics as well as contributing to the wider remit of the team across the whole curriculum. In developing the approaches to the new curriculum, the team were asked to work in a number of schools throughout the east of England to test approaches and to develop materials with practitioners. Those materials that did not make their way into the final official guidance were published separately by David Fulton Publications – these included redefining the whole curriculum for pupils with SEN, Mathematics for All, ICT for All and Internet for All, in addition NASEN published my work on Spiral Mathematics. At the end of this work I was appointed to a senior post at Meldreth Manor School, a residential school for pupils aged 5-19 with profound needs, I remained at the school for 10 years with 4 years as headteacher. During the period 2004-2008 I established a two projects to deliver remote evaluation of needs, technical support and AT training to people with a disability across the Internet. The projects were based in Scotland and Wales and sought to deliver cost effective approaches to people with a disability in remote and rural areas. In addition a third project was established London to address the problem of travelling across London in heavily congested areas. The two projects used mainstream technologies, Skype and TeamViewer to observe the user, intervene and recommend technology and finally provide technical support and one to one training. The projects were well received and had additional benefits by allowing people with a disability to provide a significant part of the delivery team as they were able to work from home. The projects were successful and the concepts and approaches were replicated by other organisations in Eastern Europe and Turkey. As a result of the lessons learned the same principles were applied to professional training and awareness through the use of Social Media and eLearning. More recently, I have integrated the social media networks into approaches to elearning allowing for core repositories to be established in the cloud and implemented and integrated into learning materials as required. Currently I am using the follow social media channels to gather and distribute resources.